This peep-toe pump is the perfect start to your busy day. 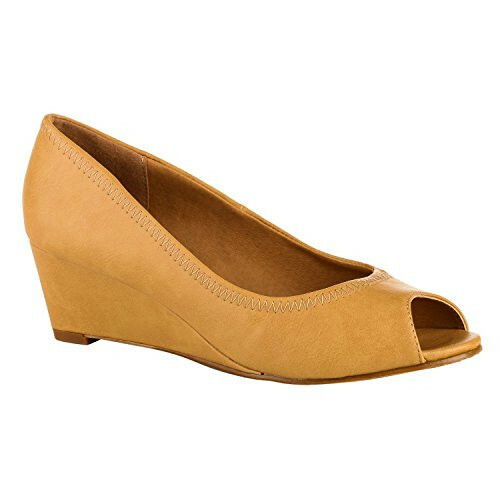 With its low 2-inch wedge heel and contrast stitching, it exudes sensible class with a fashionable twist. Pair the black or the beige with your favorite skirt for work, and save the coral for nights out when you want to add a splash of color to a comfortable style. Available in sizes 5 to 11 and runs a half-size small. Great birthday gift for my teenage daughter! She loves it so much and she walks comfortably at school. I am satisfied Mamacita.